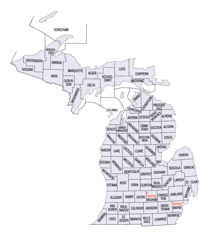 The boundaries of the eighty-three counties in Michigan have not changed substantially since 1897. Wayne County was the sixth county in the Northwest Territory, formed 15 August 1796 and organized in 1815. Wayne County was created 21 November 1815 as an original county of Michigan. Muskegon County is a county located in the state of Michigan. 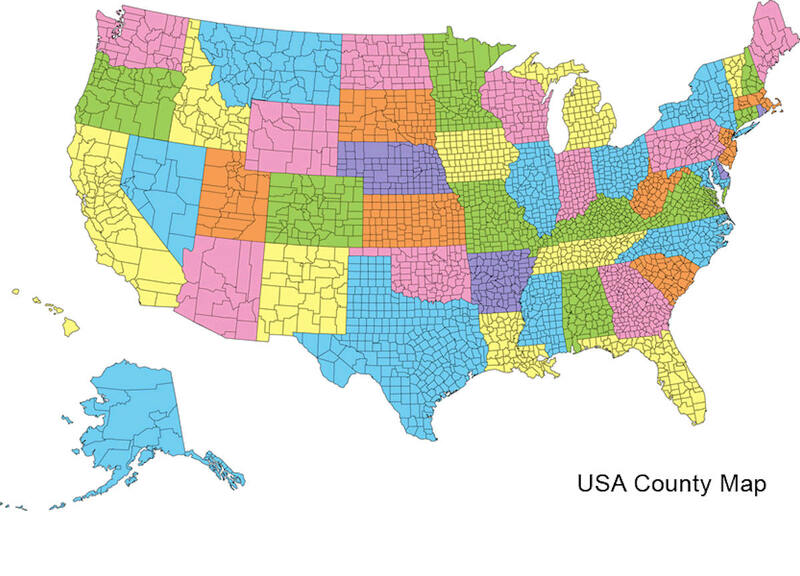 Based on the 2010 census, the population was 172,188. 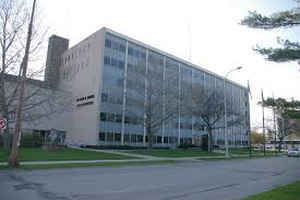 The county seat is Muskegon. Muskegon County comprises the Muskegon, MI Metropolitan Statistical Area, which is part of the larger Grand Rapids-Wyoming-Muskegon, MI Combined Statistical Area. Muskegon County name is from the Muskegon River, which runs through it and empties into Muskegon Lake and subsequently flows into Lake Michigan. 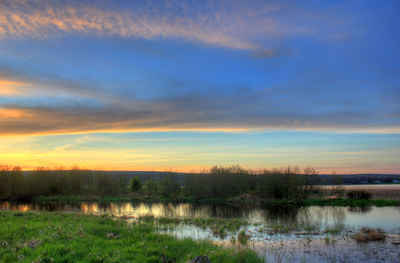 The word "Muskegon" comes from the Ojibwa/Chippewa word mashkig, meaning "marsh" or "swamp". Muskegon County is named for the Muskegon River, named for the Ojibwe language word mashkiigoong meaning in the swamp or in the marsh.